Quote Devil was a relatively new entrant into the highly competitive Insurance marketplace. As such it was experiencing difficulty gaining market share. To create a clearer brand identity and to achieve communication ‘cut-through’ versus the well established competitive set. Customer Engagement & High Conversion Rates were deemed critical elements when benchmarking the success of this project….effectively the phone must ring! A focused Direct Response TV campaign effectively magnified Quote Devil’s existing position in the marketplace. Clever creative interacted positively with the consumer and presented the brand solution in an engaging format. This activity drove immediate acquisition through a clearly identifiable message. Further campaign enhancement was achieved by integrating a long term sponsorship asset. The activity drove immediate acquisition and our strategy delivered over a 400% increase in Sales Calls. Further, the TV character triggered positive consumer reaction giving the activity added retention. Ongoing, quarter on quarter analysis continues to show increased conversion rates with the client continuing to use this strategy as the corner stone of their activity. 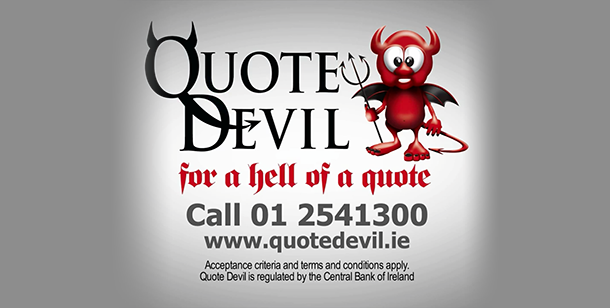 More people than ever before are saving on their insurance with Quote Devil!